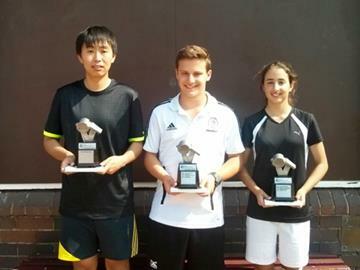 The conclusion of the Champion of Champions wraps up the 2013 season for teams in the Eastern Suburbs. Congratulations to all of our teams who represented the area. I also want to congratulate John Garcia, Ari Jackson, Jessica Lage and Michael Chen from our Referees Branch for receiving Referee of the Year Awards. All were very well deserved. 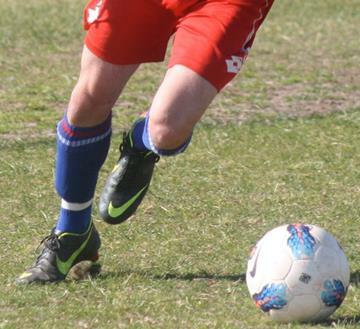 We’re already thinking about 2014 with trials for our representative SAP and Regional League teams coming up soon. We’ve had a huge amount of interest already so if you want to trial make sure you put your name down so you don’t miss out. Trials for the popular Skills Acquisition Program will be conducted on Wednesday 6th and Friday 8th November at David Phillips Sports Field at 5:30pm and ESFA is taking expressions of interest. ESFA SAP will play its home games on Sunday mornings and will train twice a week through the pre-season and three times a week during the winter season. The season will incorporate 18 games and 2 gala days. All players are to arrive at least 15 minutes prior to the starting time and wear shin pads, boots and bring a drink. Please note that neutral attire must be worn – no representative, development squad, academy, Football NSW or other representative gear is to be worn. Places are limited due to high demand. If you haven’t already, all new and returning players looking to trial for a spot in the ESFA SAP must register their interest through our online form. 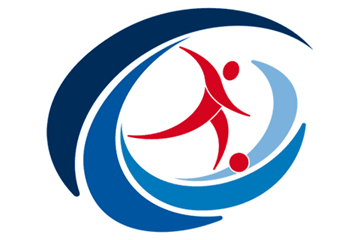 ESFA is taking expressions of interest for the Regional League in 2014. Trial dates will be announced in the coming weeks. Places are limited due to high demand so we encourage you to register early. For more information, and to register, please visit the Regional League Page. The 2013 Referee of the Year Awards were presented on Sunday at the Referees Branch end of season function. John Garcia, who was appointed the Premier League Grand Final, was announced as the recipient of the 2013 Referee of the Year Award for his outstanding service and dedication to refereeing and the Branch. Ari Jackson was the winner of the Junior Referee of the Year and Jessica Lage was presented with the Female Referee of the Year Award. In a new award category for referees in their first year of officiating, the Rookie of the Year Award was presented to Michael Chen. Sixteen ESFA sides entered the 2013 Champion of Champions competition, with Maccabi Hakoah U18 Boys reaching the final in a dramatic 4 – 2 loss to Wakehurst. The opening round was a great start to the competition for ESFA sides, with six teams earning victories whilst the remainder had a bye. There were mixed results in rounds two and three as exceptional performances from Redfern Raiders U12 Boys and Pagewood Botany O45 Men saw them join Maccabi in the Semi Finals. 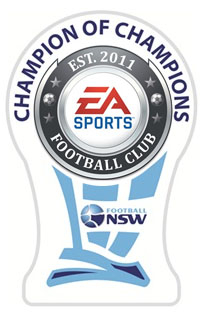 The ESFA teams were part of a 320-team tournament with over 6500 players participating in the 2013 EA SPORTS Champion of Champions. It is one of the most prestigious amateur football tournaments, with champions from each Association pitted against each other. ESFA would like to congratulate all of our teams who participated in the tournament this year. 152 Bunnerong Rd, Eastgardens, NSW 2036.